Book Monster has changed his outfit especially for this wonderful picture book! Just gaze upon that front cover for just a moment … Isn’t it lovely? 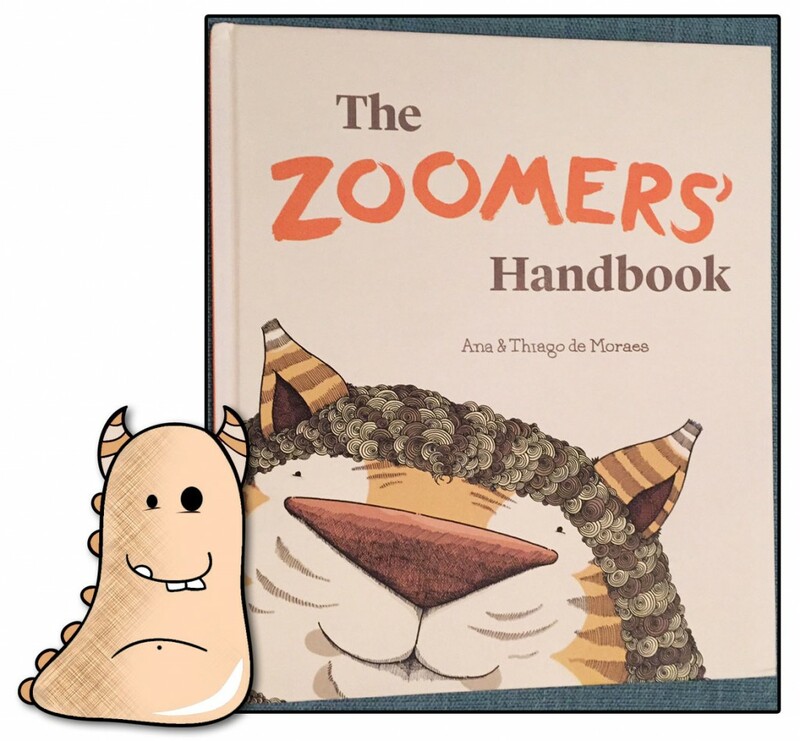 That is The Zoomers’ Handbook the debut book by wife and husband team Ana and Thiago De Moraes. On first glance I was eager to read this book. The title is dynamic and compelling, in lovely big bold text. Then we look down to the gorgeously sweet welcoming face of a creature we’re yet to read about. Andersen Press have done an awesome job of producing this book. My copy, a hardback, has a beautiful matt, textured cover with the inner pages reflecting this feel of quality. I will admit to stroking the cover quite a lot! This will stand up to much page turning, and it will need to, as it’s sure to be one children return to time and again! 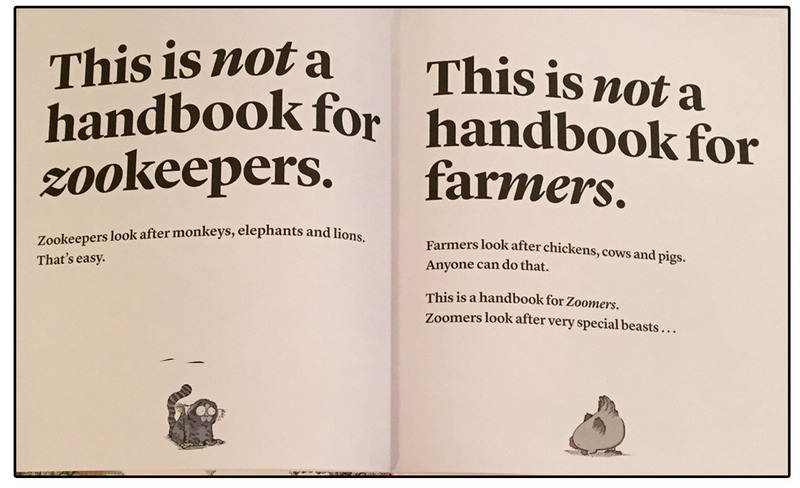 The Zoomers’ Handbook is not a story as such, but a journey through an array of wonderful mixed up creations. Ana and Thiago have taken well known creatures that we all love, and merged them together … a kind of animal mash-up! 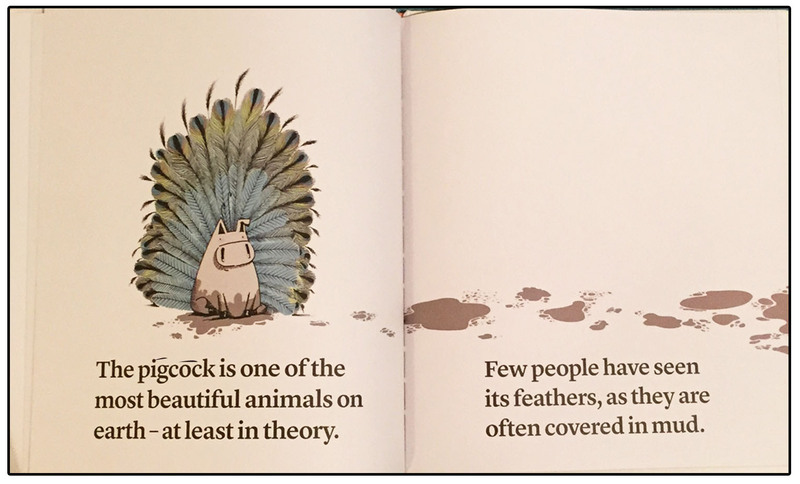 One such example , and my favourite of the whole book is the wonderful Pigcock! A mix of pig and peacock, it just cannot fail to raise, at very least, a smile, in all likelihood, a chortle or a guffaw!! The mixes are wonderfully clever and fun. We are presented with a group of animals that are a little bit bonkers, but so so sweet. This is thanks to the wonderful teamwork of Ana and Thiago. For starters the word work of Ana is genius. She describes the features of each animal pairing in a carefully crafted short sentence or two, but this is all it needs to understand their different characteristics. The words jump about the page in relation to the animals they’re representing, it’s very witty and a whole heap of fun to read! The Polar cow is an ingenious little story which I particularly loved. Of course the power of Thiago’s illustrations are just as vital as the words. He merges the animals together seamlessly and has been able to portray them in an absolutely charming way! Some of these mixes are truly barmy, yet Thiago has managed to make them convincing and just so full of personality. The soft muted colours and detailed ink drawings only add to their appeal. Don’t be deceived by the sparse pages and simple appearance, The Zoomers’ Handbook book will have taken a huge amount of work, and I imagine caused a few headaches for this talented pair. I recently attempted to come up with some animal mix-ups of my own, and it was incredibly difficult, not only thinking up ideas and names, but trying to draw them in a way that works. This is all very, very clever stuff! Working in a children’s library The Zoomers’ Handbook is a dream come true. This book is the perfect way to get children’s imaginations going. All you’d need is this book, a flip chart and a school class, and you have everything you need to come up with fantastically fun animal mash-ups! This is the sort of thing children will enjoy and remember! For older children it can lead onto making their own animal mix-up artwork and even creative writing (lends itself perfectly it poetry). There is just so much scope here for all ages and abilities. 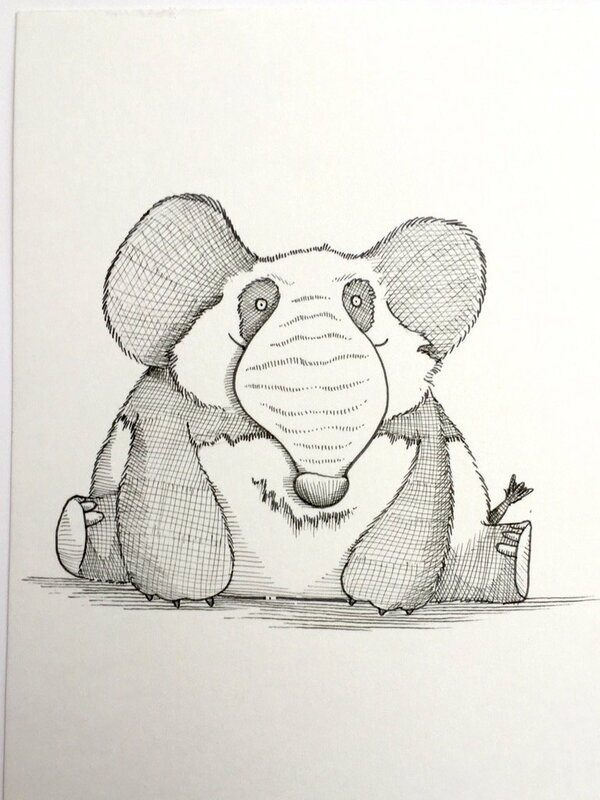 I’ve deliberately chosen not to show too many pictures, or tell you many of the different creatures in The Zoomers’ Handbook, because the fun is coming across each one yourself and marvelling on their individual stories, and I strongly suggest you do just that. While you’re there please do take the time to look at the start and end pages. An illustrated feast for the eyes on what is required to be a good Zoomer, and more details on the animals themselves. I’m puerile I know, but I just loved looking at the various poo specimens! Wonderful, wonderful, wonderful! The Zoomers’ Handbook is a joy so I really hope there is more to come from the Ana and Thiago dream team. Do also have a look at Andersen Press’ website packed full of books, information and resources. Thank you Zoomers for reading this book Monster review.